The idea of creating a universal mobile device hardware component that the user could choose, at its discretion, and subsequently updated, depending on specific needs, nurtured not only the leadership of the corporation Google. However, the real success of this initiative can be asserted only in the context of Project Ara, as it prototypes from Google regularly interviewed in front of journalists and developers are shown on special events. 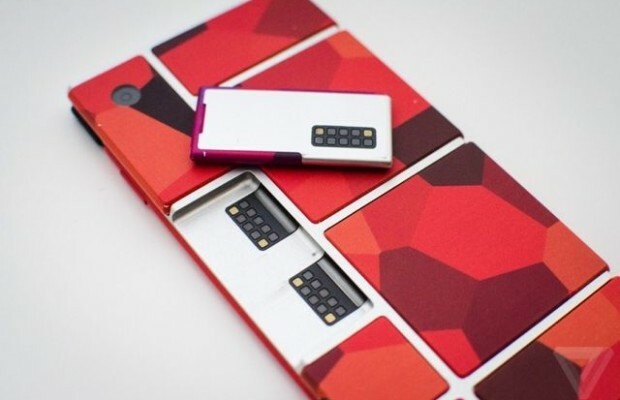 Discussion of the realization of the idea of modular smartphone series Project Ara started in 2013, and the first sample of a functioning company has demonstrated in the past year. 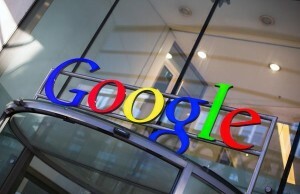 Google, as promised, held a regular conference for developers and announced a model called Spiral 2 – an improved version of the previous prototype, which is more or less similar to the model, capable of fully replacing the familiar to us all smartphone. 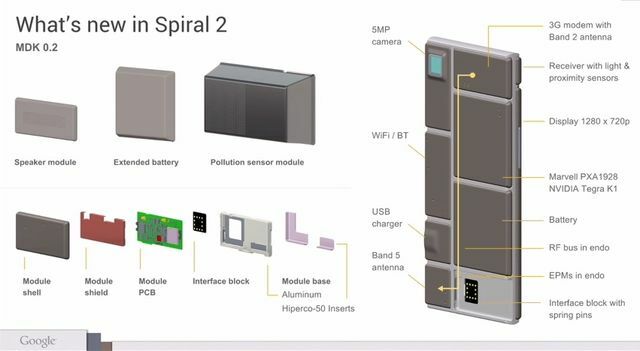 Spiral 2 – is, in fact, the second phase of the project Project Ara, in which the machine will complete the module to support the networking standard 3G. Once in the hands of the journalists The Verge apparatus has been carefully scrutinized with a detailed photo report, with which you can meet now and in the materials of our website. 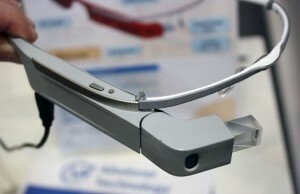 Smartphone Spiral 2 received a removable module display with a resolution of 1280 × 720 pixels, as well as radio, are integrated with the front. The prototype of the next generation includes eight slots for attachment to the back of the modules, including the presence of the camera, battery, power adapter interface with Micro-USB. Developers Possibility of “hot” replacement of several modules, including the battery module of the mobile device without interrupting the operation and turn off the machine. A team of engineers occupied Project Ara, says that at the moment they realized in Spiral 2 solution ensures the maintenance of efficiency of the system without the main power source for 30 seconds. During this time, the user must replace a discharged battery with a new one. The ultimate goal achievement listed timeslot within one or two minutes. Spiral 2, despite belonging to the second stage in the global Project Ara, is an early and still “raw” prototype. 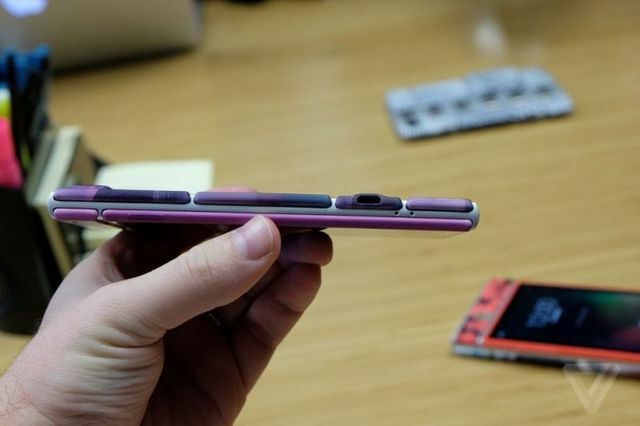 The Verge representatives were not allowed to turn on and use it as a smartphone does not support touch control. Overall impression of Spiral 2 can be called positive, in particular because of the quality of the performance as a metal frame, and unusual ribbed body comprising a set of separate modules with glossy plastic. All components are housed, they say, in his place. One of the major changes to the submitted version of the smartphone was the relocation of the magnet, which primarily equipped with modules themselves, on-frame basis. 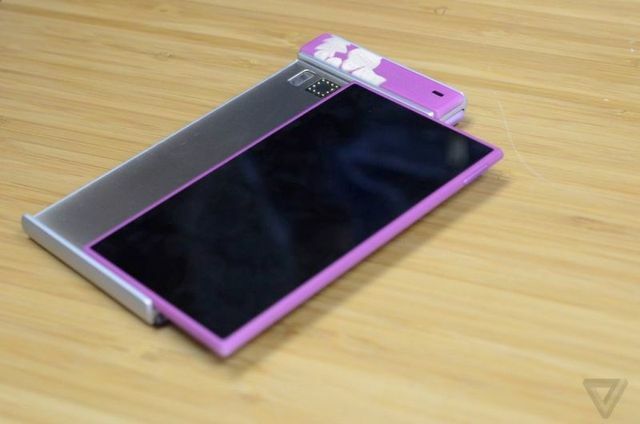 Google also plans to provide customers with the opportunity using a digital tool to modify the appearance of your smartphone series Project Ara, and then apply the selected pattern on the back of the module directly at the point of purchase. It is worth noting that the idea of printing blocks on 3D-printer had to be abandoned due to insufficient, as stated by the developers, the quality of the final product. For Spiral 2 modules from polycarbonate plastic manufactured by injection molding. 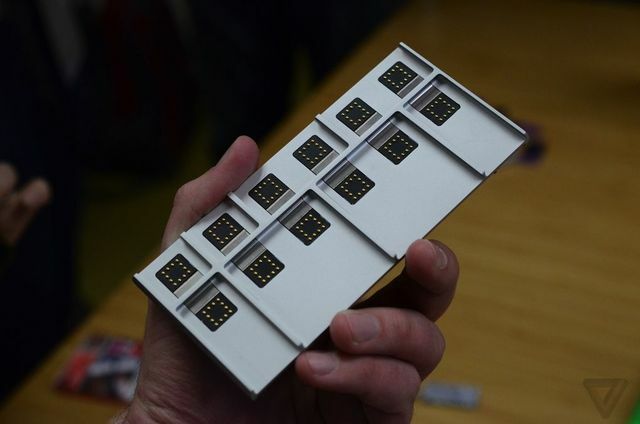 The next step in the Project Ara will be the creation and presentation of Spiral version 3, which can boast support for 4G LTE, interaction with 30 different modules and a long battery life within days.